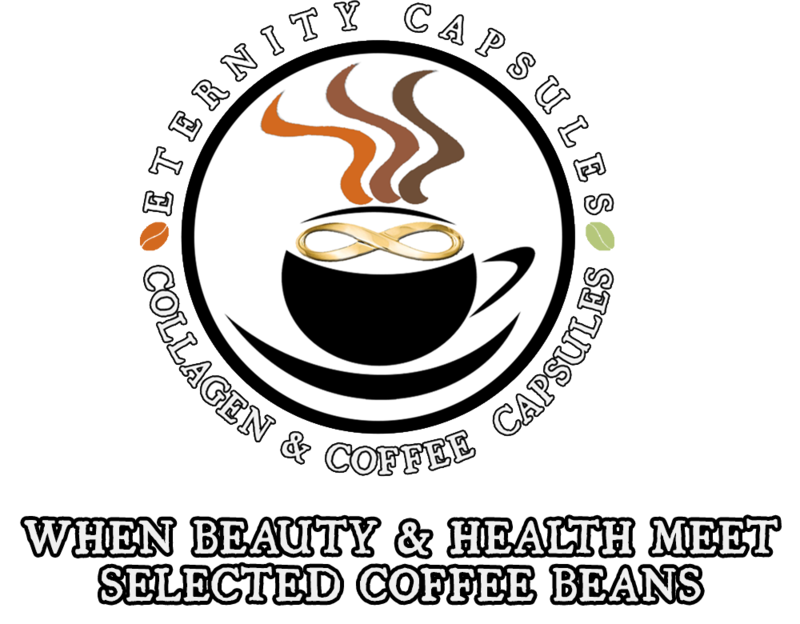 coffee beans powder 4.1-4.6 gr per capsule. problem of continuous collagen consumption. coffee with a richer and an enhanced taste. Is bio-available for immediate absorption. -Contributes to the maintenance of normal skin tonicity. -Contributes to the maintenance of skin elasticity / hydration. Clinical trials have shown that oral administration of hydrolyzed collagen peptides can be effective in improving skin moisture, elasticity, texture and clarity; reducing wrinkles, skin roughness and Ultra-Violet (UV) spots; increasing hair thickness as well as alleviating osteoarthritis and improving bone density. Orally administered supplements containing hydrolyzed collagen peptides are commercially available, for example in the form of pill or powder. Hydrolyzed collagen peptides powder is mixed with a beverage serving, for example tea, coffee, milk, juice and the like, and ingested by a user together with the beverage. The present invention provides an espresso cartridge for the preparation of an espresso beverage containing collagen peptides, the espresso cartridge contains a portion of a substance for the preparation of an espresso beverage and a portion of collagen powder. The present invention further provides a method for preparing an espresso cartridge for the preparation of an espresso beverage containing collagen peptides, the method comprises inserting into an espresso cartridge a portion of a substance for the preparation of an espresso beverage and a portion of collagen powder. 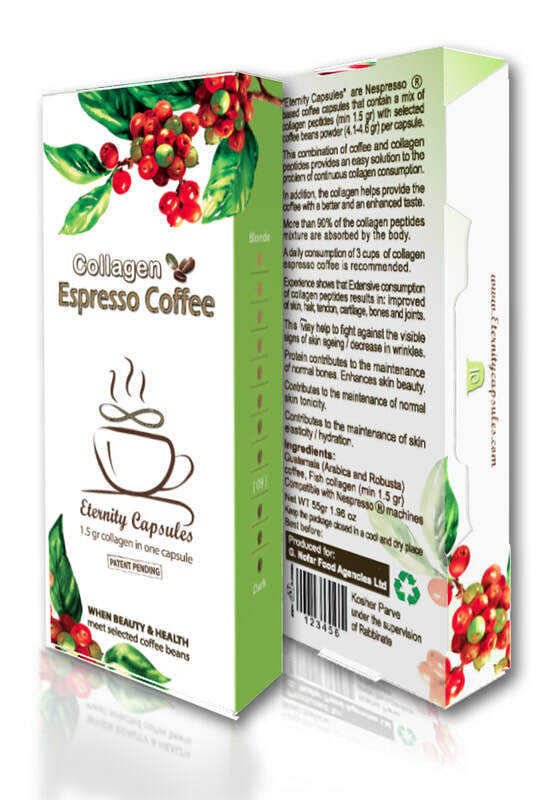 Thus, the present invention provides a convenient delivery method of collagen peptides to a user, by preparing and ingesting an espresso beverage containing collagen peptides, while eliminating the burden of mixing a collagen powder with an espresso beverage serving, eliminating the unpleasant taste of powdered collagen peptides, and enriching the taste and mouth fill of the espresso beverage.